Ahoy There Matey! Throw a Party that your Child, Family or Friends will never forget. 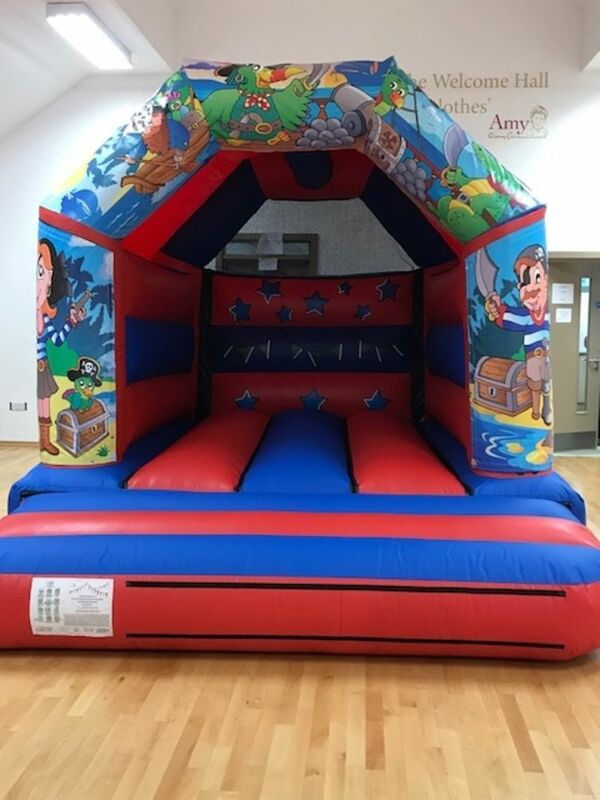 This Pirate Bouncy Castle is a fantastic for your little ones parties! With its brilliant "bright colours", and great theme, it is sure to be a hit. With its great "Pirate" themed artwork, it is a true hit with the Boys and a great choice for Children up to 13 years of age. They can be who they want to be for the day, be it a Captain or Pirate, goody or baddy. If they aren't careful, they may be asked to walk the plank.. The fun is sure to be had by all. Jumping Jacks pride ourselves in supplying new equipment to our hirers to make sure the party or occasion is enjoyed by all. Our Bouncy Castles are cleaned after every use and tested to the latest industry standards. All of our Bouncy Castles are supplied with blowers, pegs / sandbags and safety mats. This Bouncy Castle is suitable for indoor or outdoor hire and on grass, tarmac or concrete. If it is to be placed on a hard surface outdoors - in order to comply with insurance and follow current legislation on any inflatables, it is a requirement to securely anchor to the ground - to do this we will need to drill 10mm holes in the ground at each anchor point, for safety.